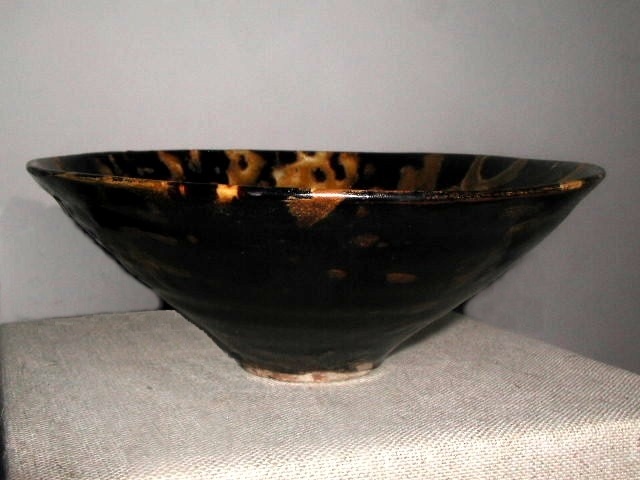 Side view of a conical tea bowl with tortoiseshell glaze. Exterior and interior dark brown glaze with splashes of transparent amber glaze. Jizhou ware. Southern Song (AD1127 - 1279). D. 5.9 in (15 cm).